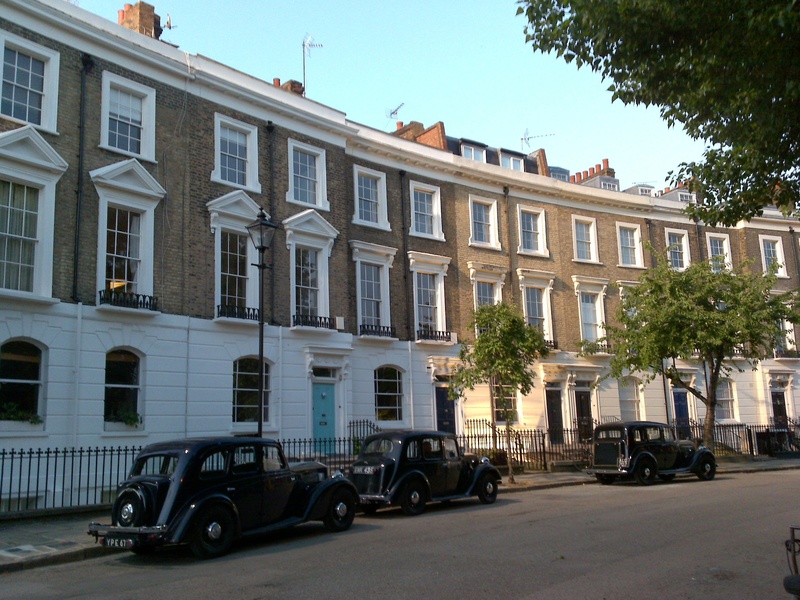 The Thornhill Square area has also been the location for advertising filming, for Mulberry (2010), Vodafone (2016), Marks and Spencer (2016) and others. The time of the meeting has been returned to 7:30 pm from 6:30 pm because it will not now begin with a discussion with Councillor Paul Convery. 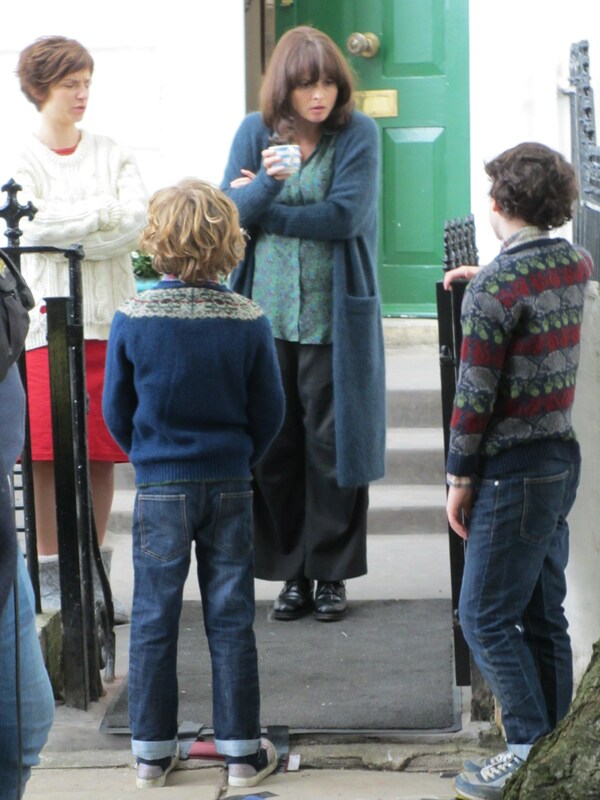 In the 1980’s Nina moved to London to look after the two sons, Joe and Max, of George. There she wrote letters to her sister that were later published (and listed under “autobiography” in libraries). 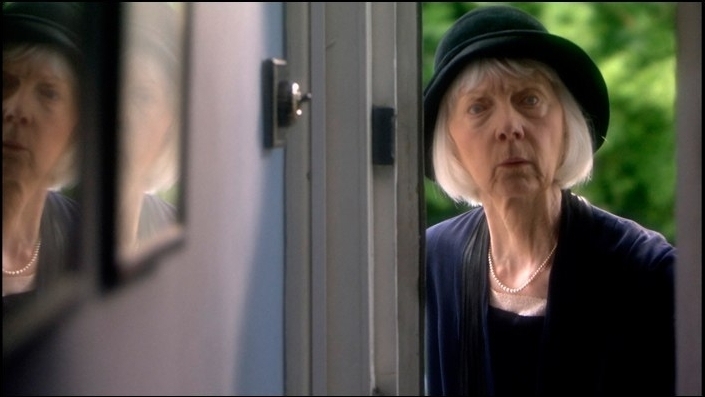 The film is based on the book but changes the names of the characters except “Nina” and “Nunney”; for instance, Malcolm was originally Alan Bennett. 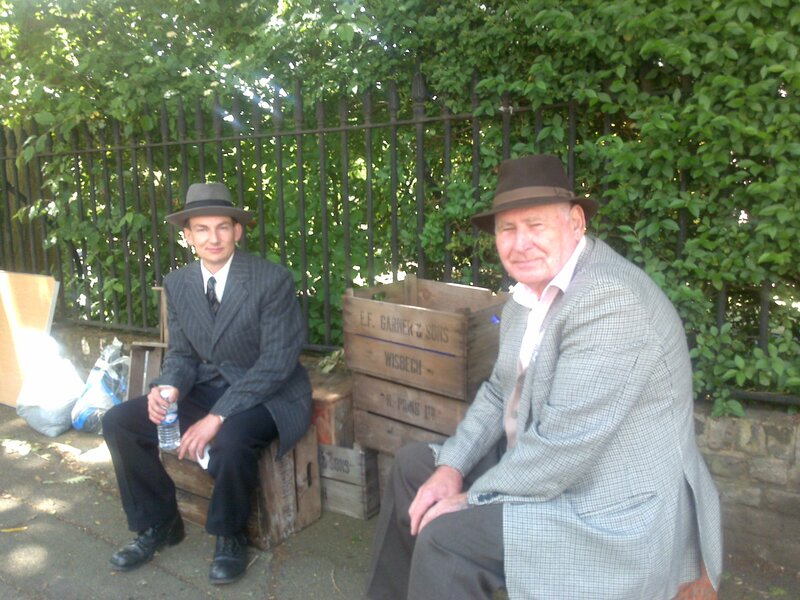 One of the boys had a disability; now, thirty years on, in the film he plays a neighbour, Ray, looked after by Nunney. Malcolm, Nina, Joe, George, Max, Nunney and Ray. George enduring some heavy, but extremely local, rain to call on Malcolm. 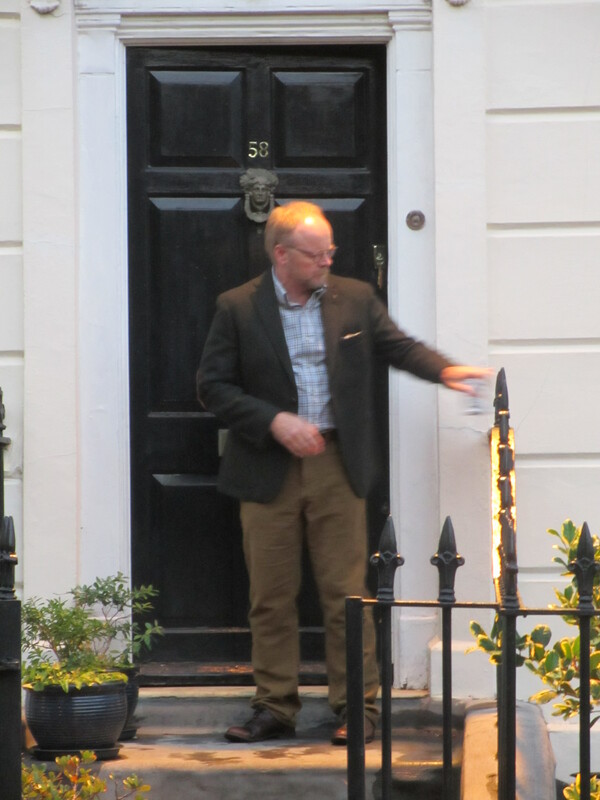 Malcolm leaving his house to have supper with George. Nina, Joe, George and Max discussing graffiti outside their house. Ray and Nunney ready to move into action. 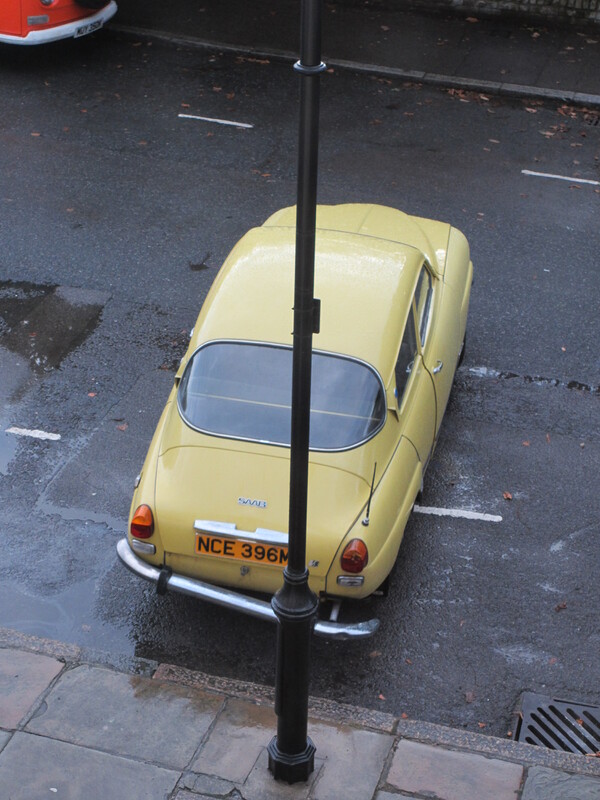 A car driven by Nina having collided with a lamp post (after local rain). Nina inspecting the damage (after real rain). 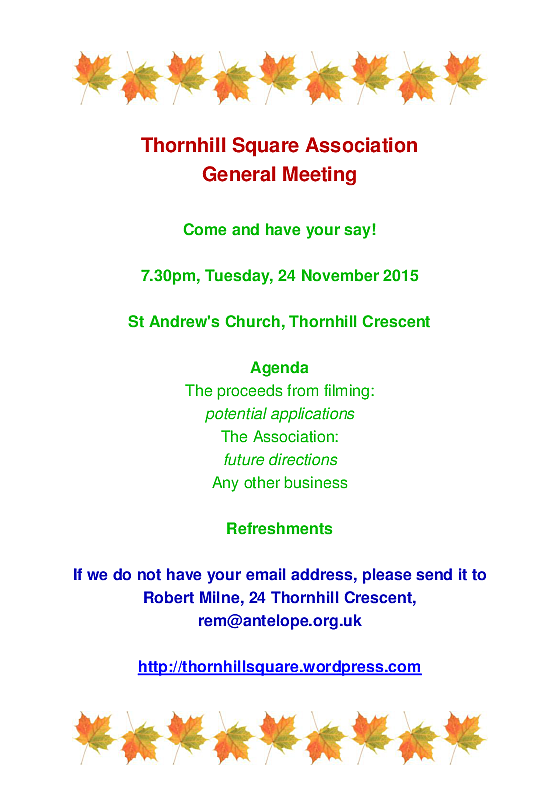 Thornhill Crescent playing its part. 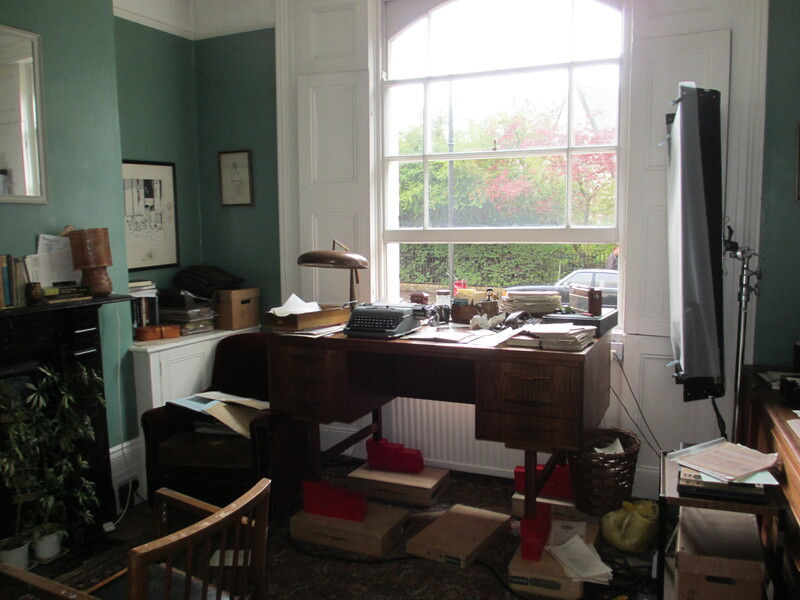 A front room dressed for its role as a study. The crew and Malcolm occupying the study. 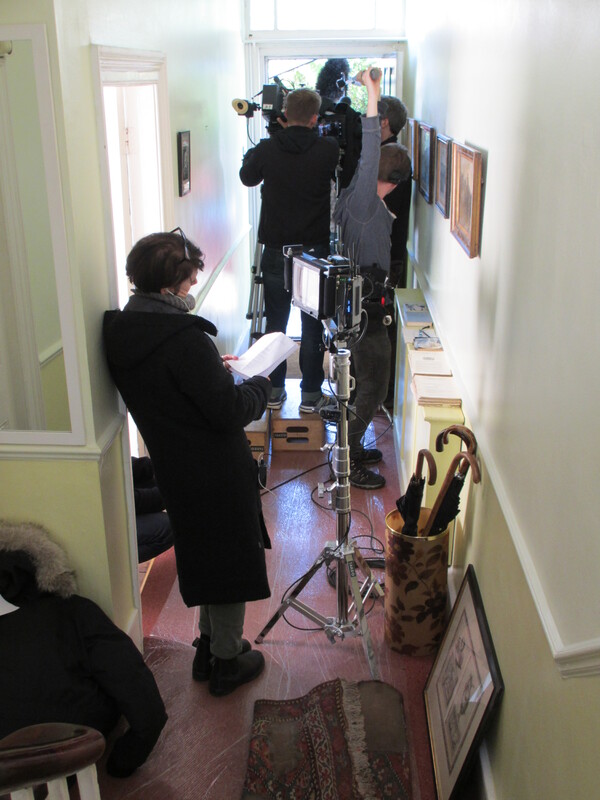 The director filming from a hall. A long clip from The Clocks by Agatha Christie is here (but cannot be embedded in this post). 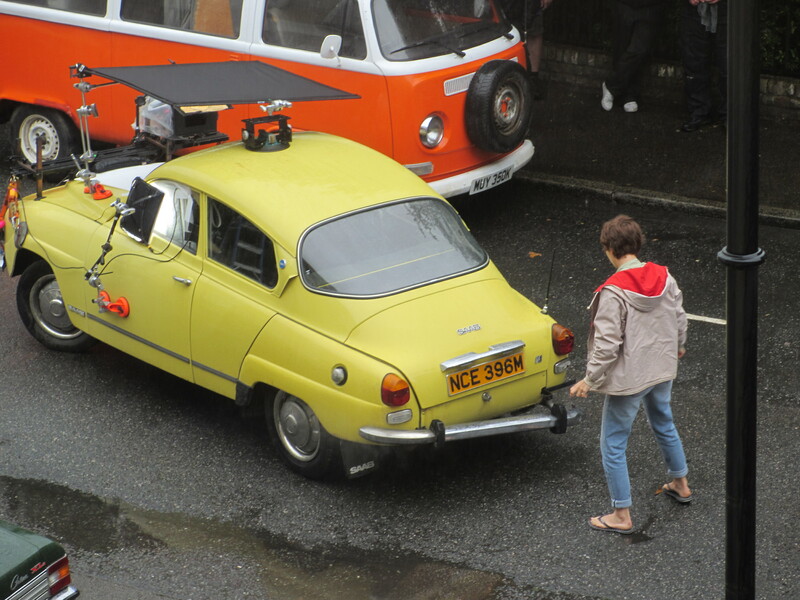 It includes scenes inside and outside some of the houses where it was filmed in 2009. This is said to have been the last performance of Anna Massey before she died. 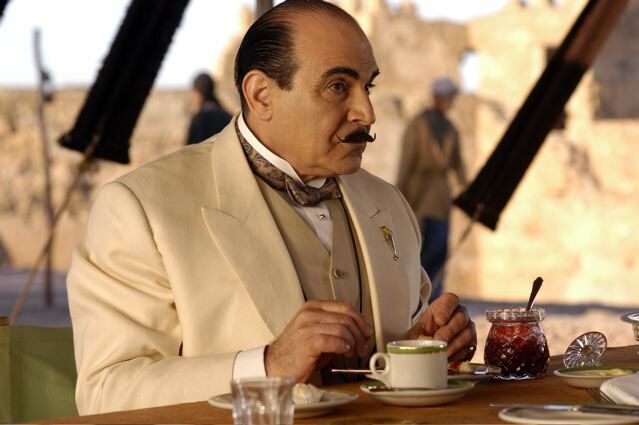 The entire series of films with David Suchet is expected to be completed this year. 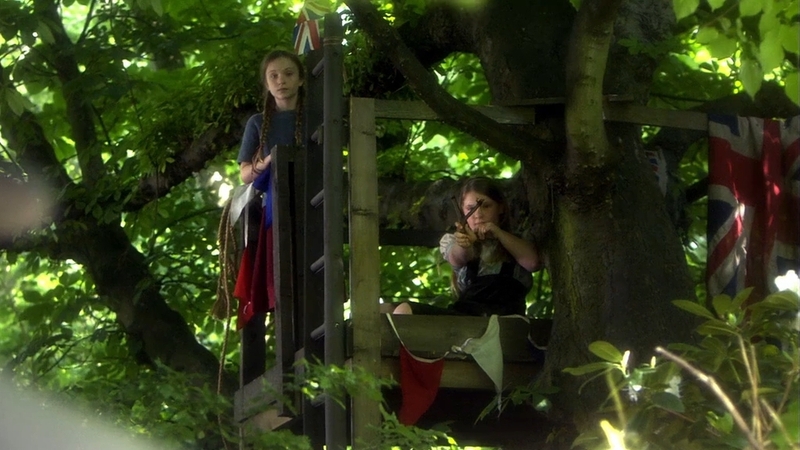 The tree house in Barnsbury Wood was built without being attached to the trees. The still shots below are from the ITV screening. The short clip below is just a trailer. Here is a clip from an episode of Criminal Justice. 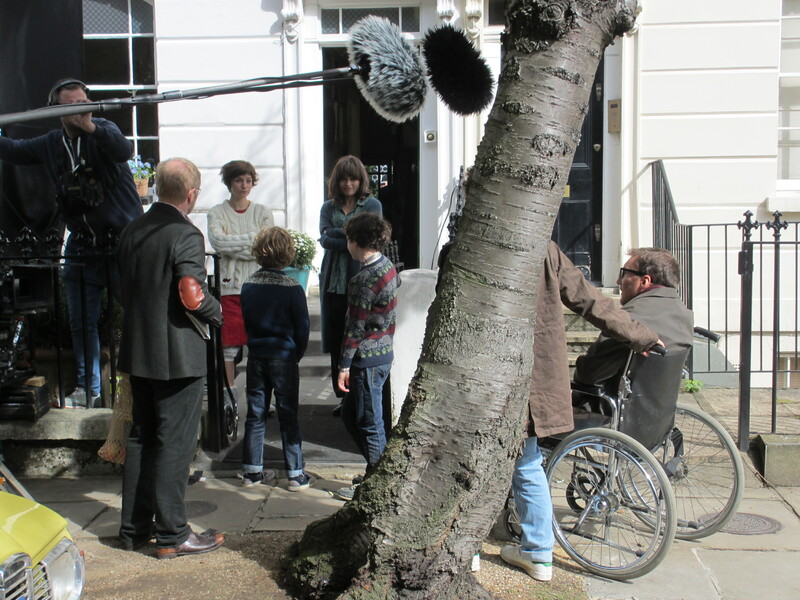 it shows scenes inside and outside one of the houses where it was filmed for the BBC in 2009. 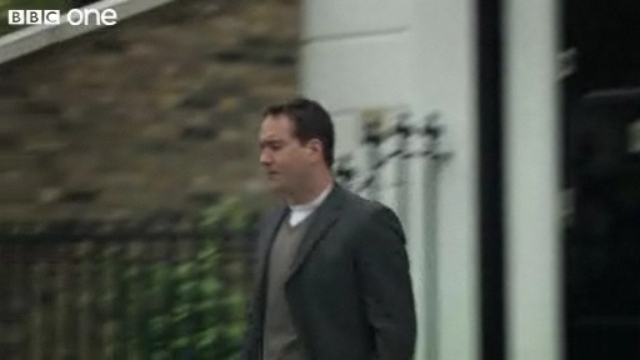 Criminal Justice is produced by Steve Lightfoot (House Of Saddam, Sorted). The current filming is for a second series to be aired on BBC One. 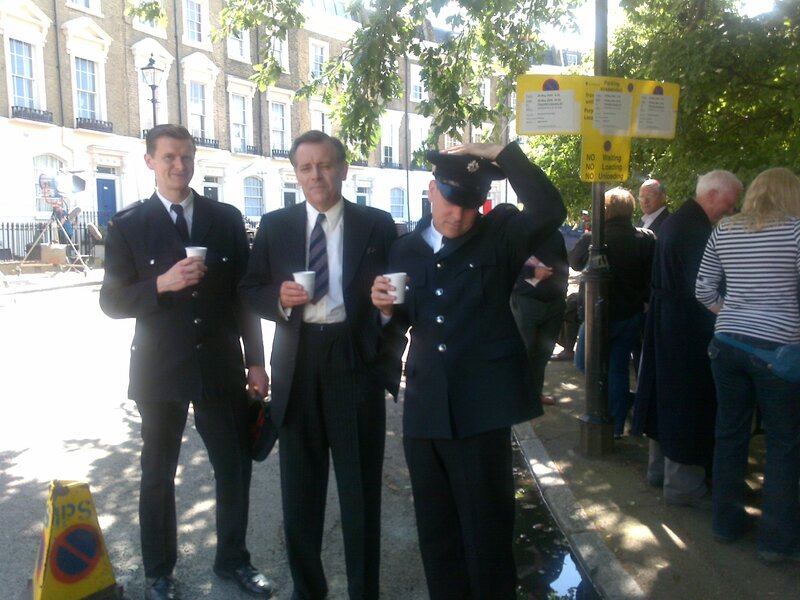 The first series of Criminal Justice, broadcast in June 2008, won the 2009 BAFTA award for Best Drama Serial. 16 June — crime scene with actors in police uniforms, a police car and an ambulance. 17 June — crime scene with actors in police uniforms, a police car and an ambulance. Our point of contact for the filming is Natalie Brown 079 7055 3746 or Alex Lau 077 2070 9350. The contact at the Islington Film Office is Athene Macrae 020 8980 8771. Sheila Webb, a typist for-hire, arrives at her afternoon appointment to find a well-dressed corpse surrounded by six clocks, four of which are stopped at 4:13. 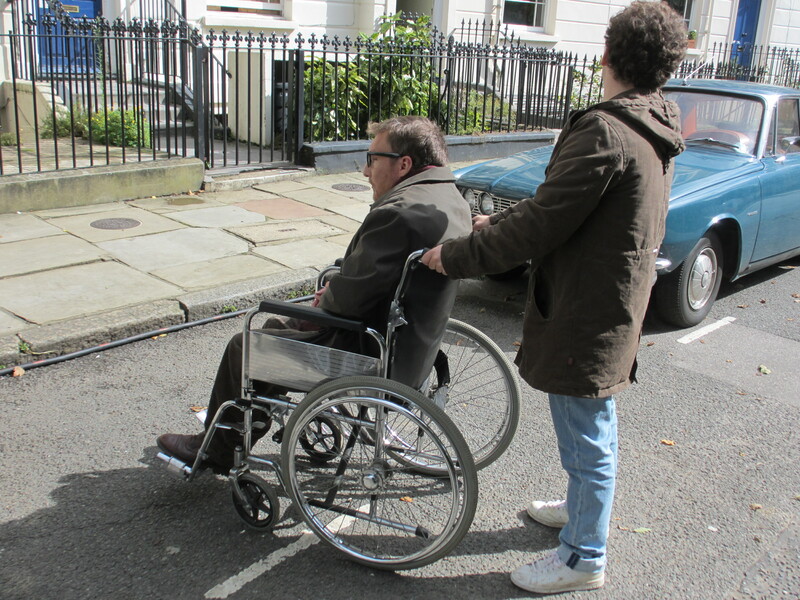 While visiting Wilbraham Crescent special branch agent Colin Lamb finds Sheila running into his arms. He is there investigating areas connected with crescents or the moon while following up a clue to an investigation, left by a fellow agent, before his death, that read “61 M” followed by a crescent shape. 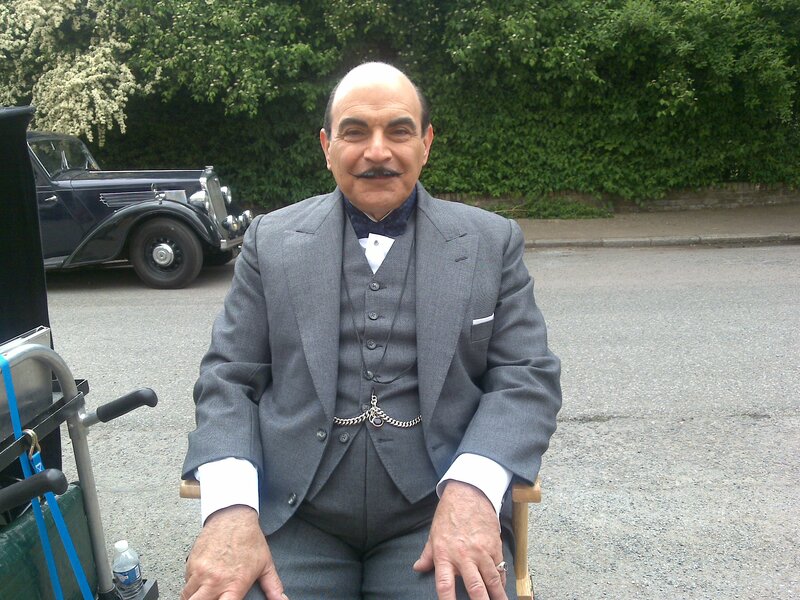 David Suchet as the Belgian Detective Hercule Poirot in The Clocks by Agatha Christie. Thornhill Crescent playing the part of Wilbraham Crescent (having had its double yellow lines removed). The dead body assisted by two police officers. 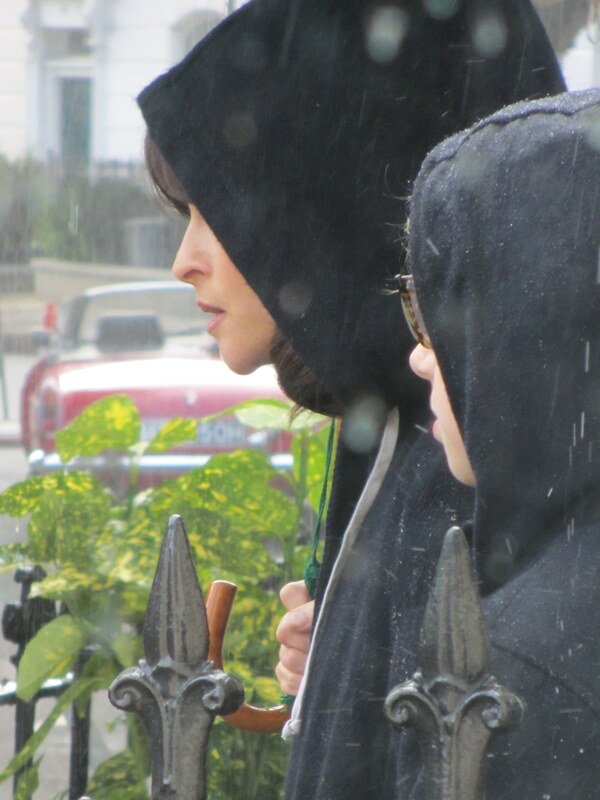 And this is drop-dead gorgeous. The dead body playing its part. My dear, incorrigible, Kat in action. 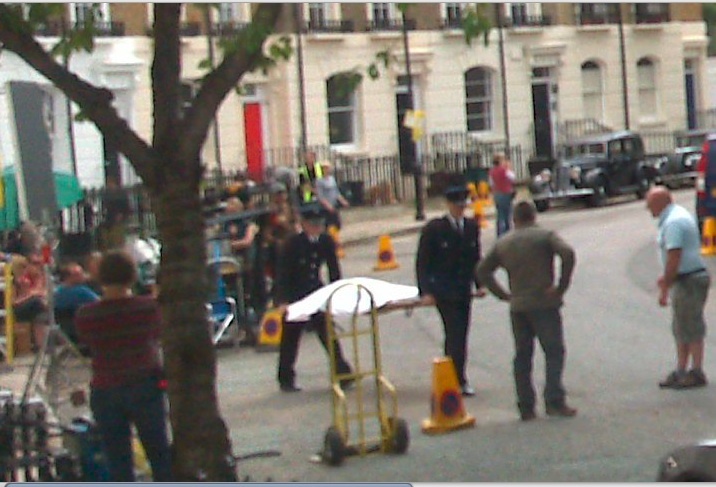 ITV Studios (Granada productions) will be filming in Thornhill Crescent Tuesday, 26th May – Friday, 29th May. 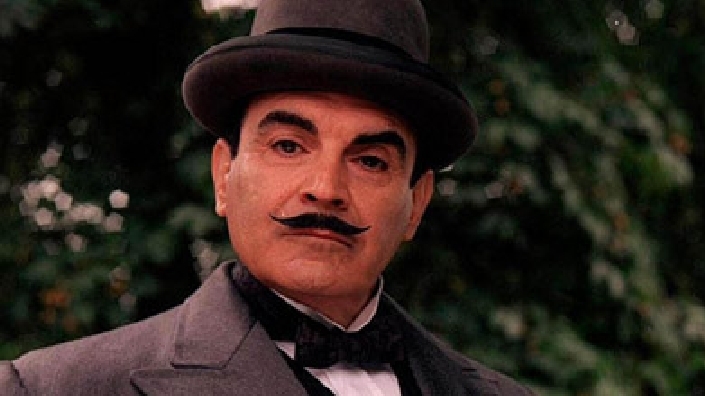 The film, The Clocks, is based on a book by Agatha Christie and will be screened on ITV in the Poirot series. It is set in Dover in the 1930s. One of the principal locations is a crescent where a number of houses and back gardens are featured. See the letter from the location manager below for more details. 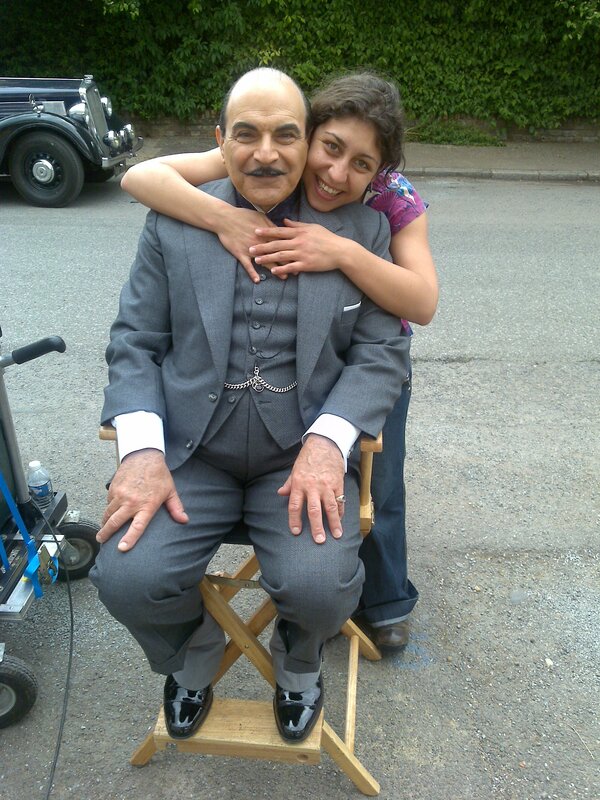 Further to my letter last month we are now finalising our plans to film scenes for Agatha Christie’s ‘Poirot’ at the end of this month in Thornhill Crescent and Barnsbury Wood. We had a positive response to the first letter and with the support of the Thornhill Square Association we identified three houses in a row on the east side of the crescent which will be the focus of our filming – No’s 23, 24 and 25. 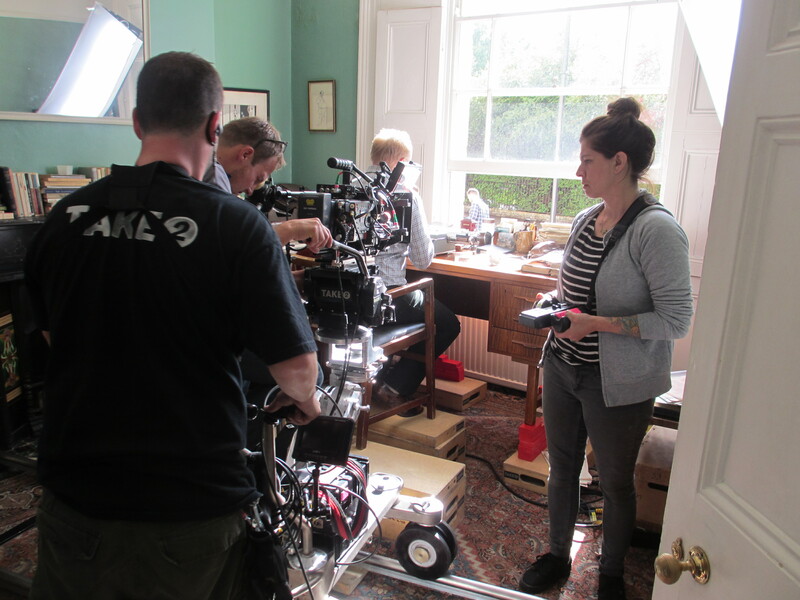 For scheduling reasons the filming needs to take place over 4 days during which time we will move back and forth between the crescent, the wood and a couple of adjoining back gardens. On Tuesday, 26th our filming requires a night exterior featuring the east side of the crescent and we are planning to film between 1200-2300hrs. 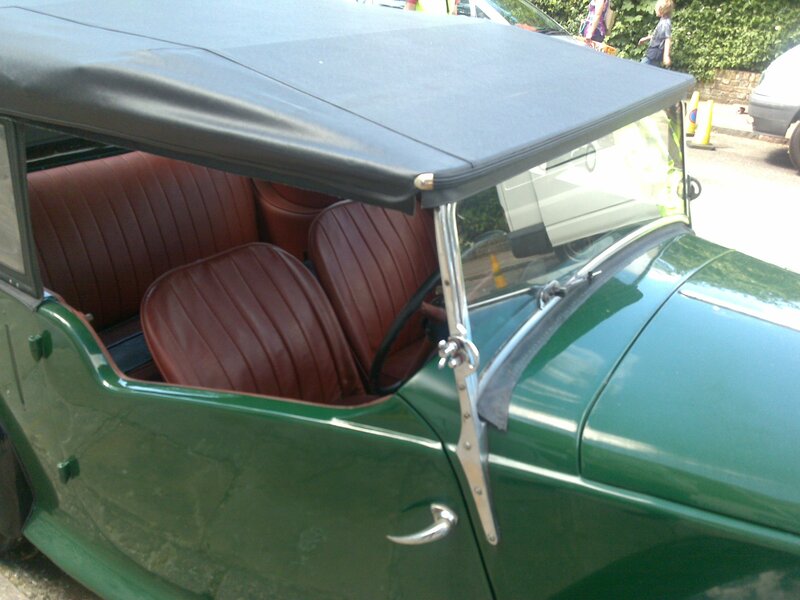 CAR PARKING DURING FILMING DAYS. 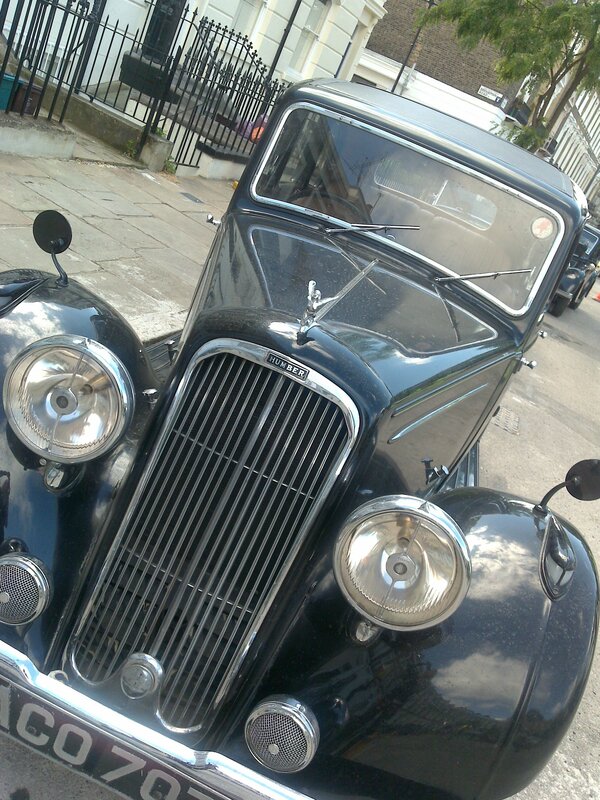 As the film is set in the 1930’s we would like to clear cars from different parts of the crescent on different days. Islington Council cannot practically suspend specific areas for us over the four days so have decided to suspend the entire section of the east side of the crescent together with a small section on the top of the west side and some pay and display bays on Crescent Street and Bridgeman Road. We appreciate this is a sensitive issue for many residents and as such we have tried to come up with the most flexible and least disruptive arrangement. Whilst we have some scenes where we need the east side of the crescent entirely clear of cars, other scenes only need partial clearance in specific areas. When we are not filming in these areas the parking office have agreed to allow us to manage residents parking in the suspended areas. This system will be overseen by members of our location security team whose aim will be to maintain your normal parking arrangements as much as possible working within the block suspension. 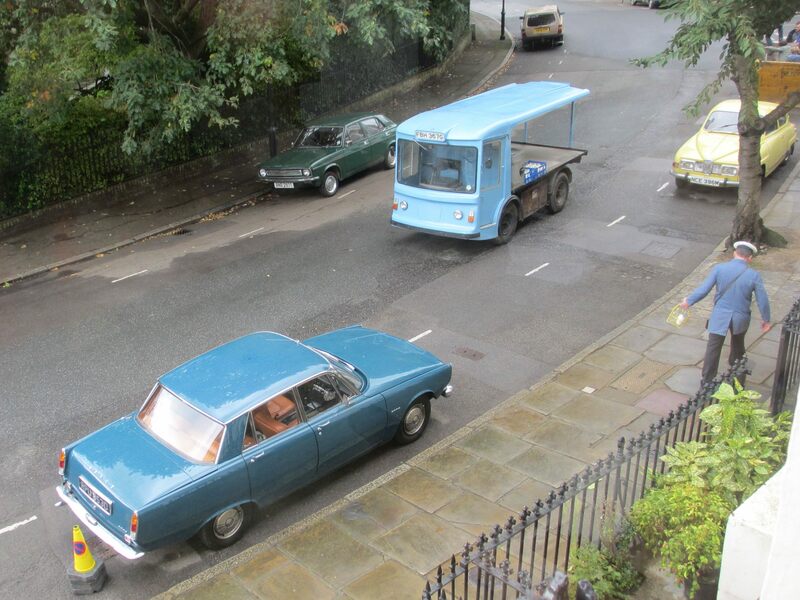 Whilst we are filming in the crescent, which will include period cars on the road, we will have a traffic management company regulating the flow of traffic. Access to the crescent will be maintained throughout each day although traffic marshals will hold any passing traffic for short periods whilst we are filming. The police may also be in attendance. Our technical vehicles will be parked in Bridgeman Road and in Crescent Street. We are donating a sum of £500 to the Thornhill Square Association in gratitude for your co-operation over these four days. Jennifer Christie (Association contact) who lives at No.19 Thornhill Crescent, will be happy to talk to any residents about how this money will be used for the benefit of the Crescent. She can be contacted via her email jennifer.christie@talk21.com. We will also be donating a sum of money to the Islington Ecology Centre for use of the wood. I will be circulating a schedule shortly that will provide further details of the where and when we will be filming in the different areas of the crescent. In the meantime should you have any concerns about our proposals please do not hesitate to contact me, or Marieke Cook (Islington Council Film Office 020 8980 8771). Thornhill Square is to feature in a six-part comedy drama, Tripping Over, to be broadcast in Australia and on UK’s Channel Five in 2006. 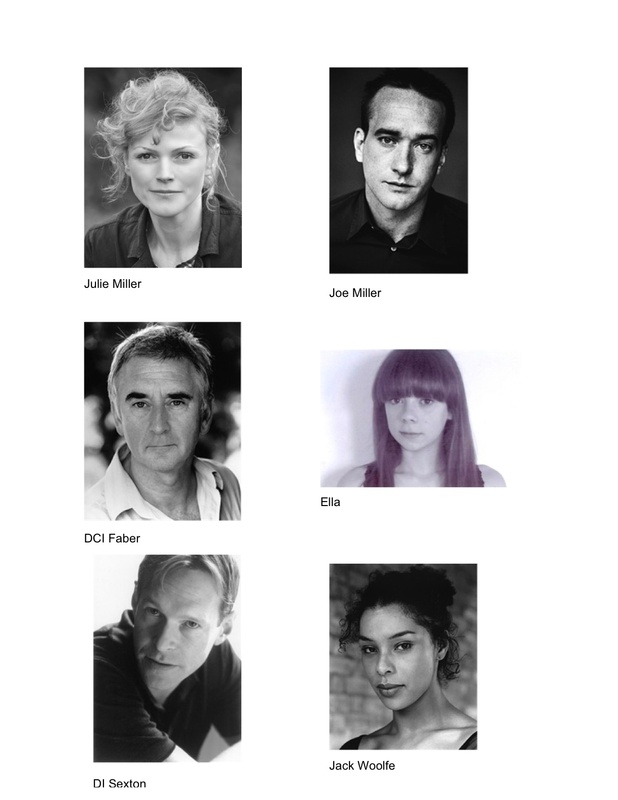 The story (devised by Mike Bullen who wrote Cold Feet, and directed by Sam Miller whose past credits include This Life and the documentary Krakatoa) is about a group of people in their mid twenties. It begins in Thailand where five characters meet by chance. Two of them go on to Sydney and the other three head for London. We follow their fortunes in the respective capitals as they make their way in the world. The production company is donating funds to both the Thornhill Square Association and Saint Andrew’s Church, and has supplied details of the filming schedule. 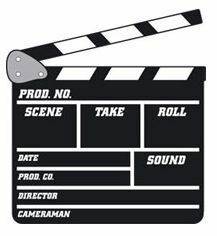 If you experience any problems during the filming, call the location manager Tim Maw on 079 7168 5323 or David Bell on 077 8665 6662. 8 am to 3 pm — The characters will be filmed chatting over a pint in the Islington Bar (corner of Bridgeman Road and Caledonian Road). Eight technical equipment vehicles will be parked in Bridgeman Road, predominantly on the stretch outside the square with any overspill on the pay-and-display bays by the church. 3 pm to 5 pm — 53 Thornhill Square will be the exterior of Lizzie and Tamsin’s flat (the interior will be a film set in Melbourne). 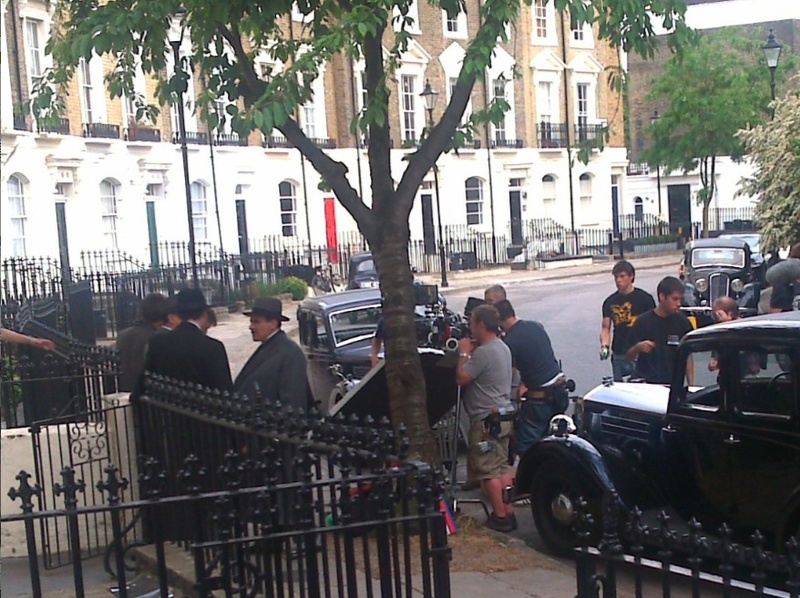 Characters will be filmed entering and leaving the flat. The technical vehicles will remain in Bridgeman Road, but a four resident parking bays immediately outside number 53 will also be needed. Please avoid parking on this stretch that afternoon — it will be marked with yellow road cones. 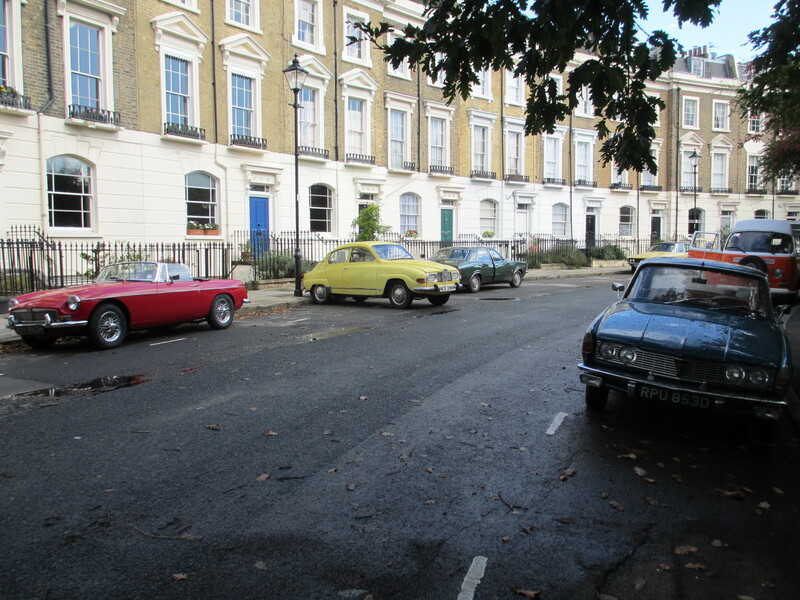 8 am to 1 pm — This shoot will be identical to that described above but with a different director, Ian Wilson (Episodes 4 to 6), The vehicles will be parked in the same positions with four resident bays reserved outside no 53. 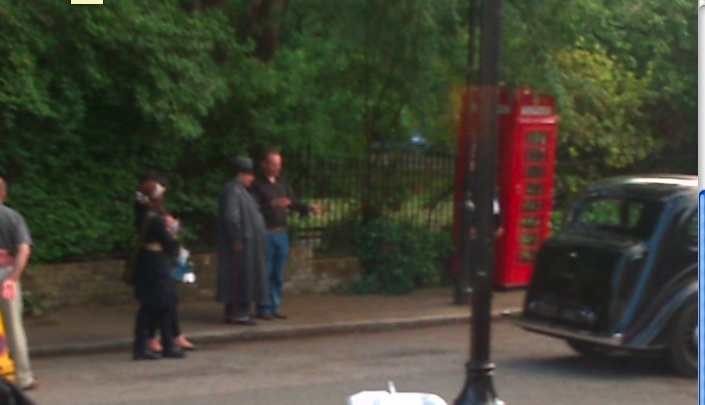 In addition, the team plan to shoot one scene where characters leave the park and cross the road to the house.